Single dining space home plans are trending, but if you enjoy entertaining often you may prefer a house plan with a separate formal dining room. While casual meals are fine at a breakfast nook or bar, larger diner parties need a larger space for guests. A formal dining room may be reserved for guests or it can be used for daily diners with your family. If you prefer a single dining space but still want a larger dining room that can be used for formal occasions, Donald Gardner Architects offers many home designs to choose from. If you like an open floor plan, a formal dining may gain distinction with columns or a special ceiling treatment, like a tray or coffered ceiling. This allows the formal dining room to flow into the other living spaces while at the same time creating separation. A butler's pantry or buffet niche may accompany your formal dining room to assist with serving separate dishes. 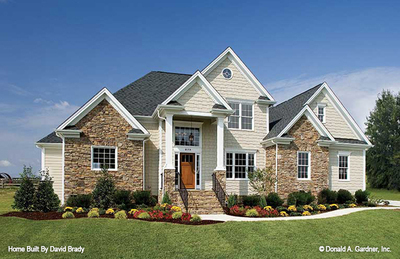 The Tucker 1341 is a simple home plan with an open concept floor plan. The single dining space easily transitions from casual to formal and is spacious enough for a large dining table. A tray ceiling tops the room and doors open to a rear screened porch to continue entertaining outdoors. 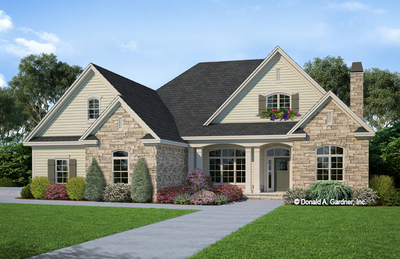 The Clubwell Manor 5037 is a luxury house plan with a formal dining room adorned with a coffered ceiling. A separate circular breakfast nook is available for smaller family meals. 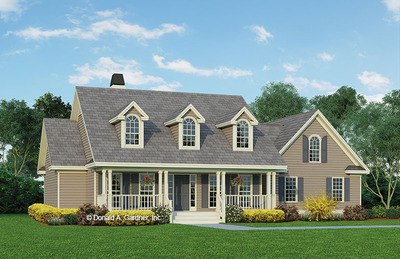 Donald Gardner Architects has an extensive portfolio of homeplans with single dining spaces and formal dining rooms. Whether you entertain often or only at special occasions, let us help you find your dream house plan!